Whether you’re thinking about buying or selling a home in the Columbus area, you can benefit from viewing homes that have recently sold. Home sellers can use recent home sales in their neighborhood to get an idea of home prices on homes sold nearby. Home buyers can look at recent home sales in a community they are thinking about buying a home in to help determine the price range for that community. At the Rita Boswell Group, we are excited to offer the ability to search sold homes on our website! 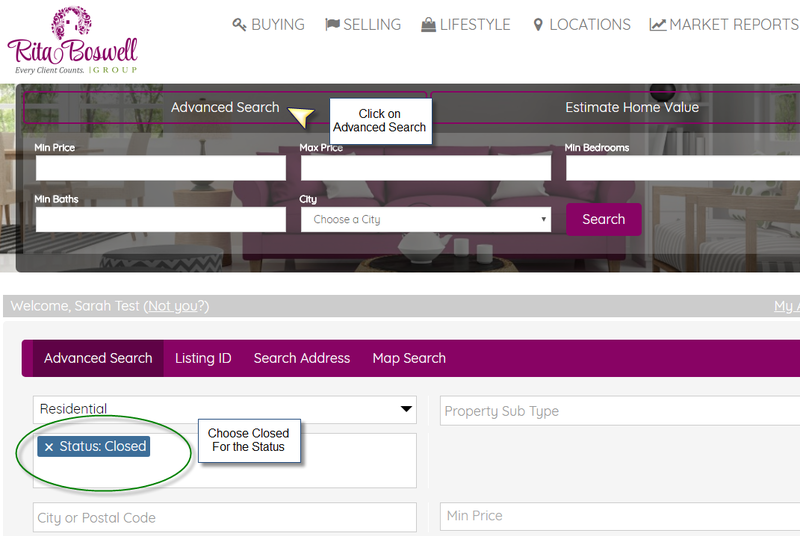 Once you are on the Advanced Search page, set the Status to Closed. 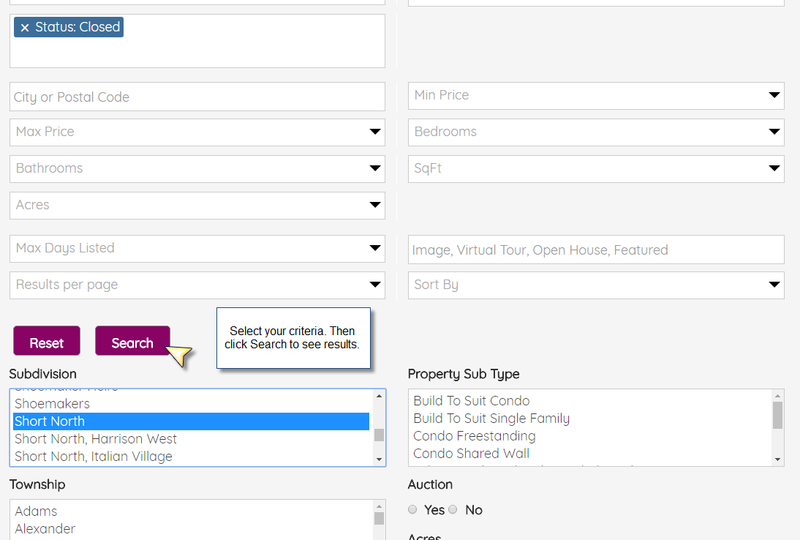 Now you can filter your search by price, location, type of home, or even amenities. Click Search, and you’re off! You will be able to view sale prices, the date of sale, and other property details. As we continue to improve our website, we are also offering searches of sold homes by location. This gives visitors the ability to view homes sold by city or neighborhood without having to manually do the search themselves. To view our Location searches, select Locations in the main menu. Select the community you want to see homes in to begin browsing sold homes. If you don’t see the Central Ohio city or neighborhood you are looking for, let us know and we will set it up for you. Keep in mind that it is still extremely important to consult with a real estate expert to properly set a sale price for a home or determine the best offer on a home for sale. If you’re thinking about buying or selling a home, contact Columbus Realtor Rita Boswell at 614-547-3229.